Secret files obtained from Guantanamo Bay by Guardian reveals that US considers Pakistan’s ISI (Inter Service Intelligence) Pakistan state’s intelligence agency on par with dangerous terrorists group like Al Qaeda, Hamas, Hezbolla in Lebanon. The list contains a group of 36 such recognized terror groups in which ISI, with its covert operations to destabilize Afghanistan, India and US interests in the region, finds a good place along with Egyptian Islamic Jihad, Ayman al-Zawahiri; the Sabotage Battalion of Chechen Martyrs; the Iranian intelligence services; and the Muslim Brotherhood. ISI is an important backbone of Pakistan which has along with Pakistani Army has a huge influence on the government’s policy. The group was formed to protect the interest of Pakistan and prevent it from any invading forces. 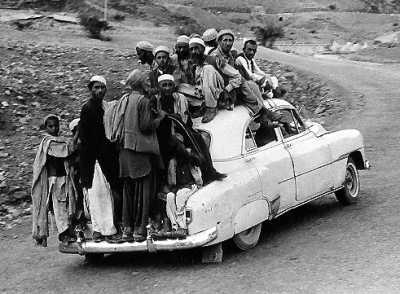 After the Soviet’s invasion in Afghanistan CIA started helping civilians in Afghanistan to fight against Soviet Army with the help of Pakistan. After the withdrawal of Soviet’s army from Afghanistan, CIA also left the place leaving a great army of civilians who were taught only to fight since their childhood. ISI understood their potential and started nourishing and funding them to use them as a strategic asset against their enemy since birth, India and to grow their influence in Afghanistan so that it has to only concentrate on its eastern borders with India. US understood ISI’s double game only when they made Pakistan join the war against terrorism, the report which guardian found in 2007 reflects some part of it. That the Pentagon was aware that Pakistan on one side is fighting with Taliban to show the world but on the other side it was funding the same organization with the American money which it received as civilian and economic aid. The report further cites that in January 2003, Pakistan’s serving military officers gave bomb making and explosives training to insurgents in the Zabul province of Afghanistan and other terrorists to fight against western forces. Afghanistan government also blamed Pakistan’s ISI of bombing Indian embassy in Kabul. Presence of India in Afghanistan is a major cause of worry for Pakistan as India’s billion dollar worth investment in Afghanistan as aid, development of infrastructure, education, transport etc. has made the government of Afghanistan pro Indian which was a Pakistan’s influenced backyard during Taliban’s cruel regime. Taliban had destroyed schools, colleges, theatres, radio stations, and religious places of other religion (the tallest Buddha’s statue carved in a mountain) as it considered it against their laws, especially education and entertainment. It is not very doubtful that Mumbai attacks in 2008 were master minded with the help of Pakistan Marines and ISI.